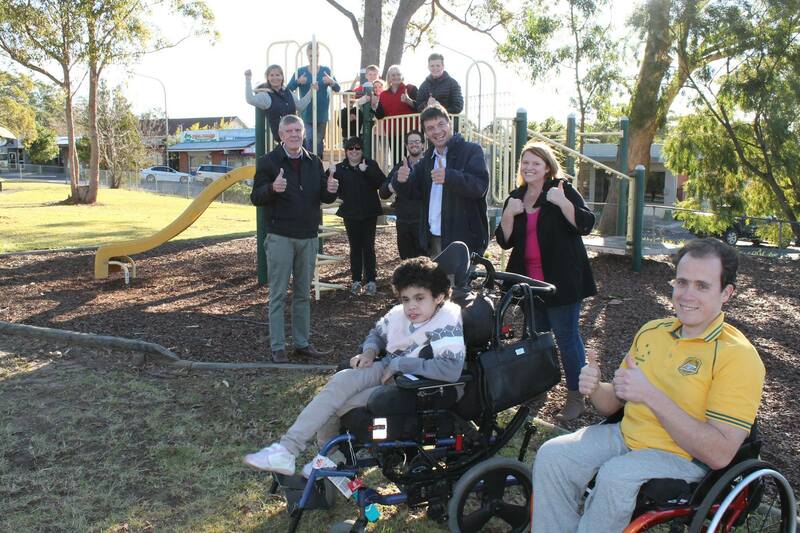 On Saturday, The Federal Liberal Member for Hume, Angus Taylor, joined Wollondilly Mayor Simon Landow and the Touched by Olivia Foundation to announce that a re-elected Turnbull Liberal Team would provide $350,000 for an All Abilities Playground in Warragamba. The playground is to be located at Warragamba Civic Park, Weir Road, Warragamba. Warragamba Civic Park is a joint project by Wollondilly Shire Council and the Touched by Olivia Foundation. The project was initiated in 2012 by local community members who formed a working group with Council. A formal commitment to the project was made by Council and the Foundation in 2014. Mr Taylor said the playground would be inclusive for all age groups, for children and adults with a disability or frailty. “I have campaigned for Federal support for this project and I’m really happy to be able to announce funding to kickstart such an important community resource,” he said. Mayor Cr Simon Landow said, “Council greatly appreciates the Federal Government’s commitment of funding for the All Abilities Playground Regional Facility in Warragamba, and we look forward to creating a state of the art playspace with The Touched by Olivia Foundation for our kids and adults with disabilities”. The total project is estimated to cost $1.2 million and will include earthworks, pathways, toilet and change facilities and parking. Livvi’s Place Warragamba is on track to be ready for play in 18-24 months. The next step will be to design the dream with the community.